5 Octo­ber 2015: Turn­ing 90 this month and as viva­cious as ever, Tim­o­thy Robert Hardy spoke tonight on “My Life with Churchill” at a Hills­dale Col­lege Churchill sem­i­nar, attend­ed by over 500 reg­is­trants and 200 stu­dents, spon­sored by Hillsdale’s Cen­ter for Con­struc­tive Alter­na­tives. That after­noon I had the priv­i­lege to play Alis­tair Cooke, and intro­duce four excerpts from Tim’s inim­itable por­tray­al in the doc­u­men­tary, “Win­ston Churchill: The Wilder­ness Years.” Here is the intro­duc­tion to the first excerpt, which may be viewed on YouTube (first 12 min­utes). 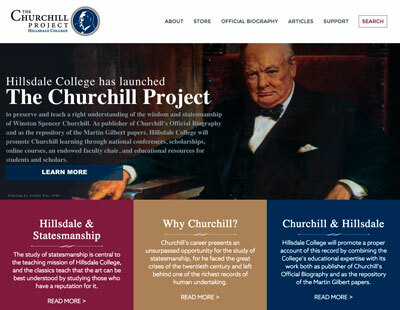 All four excerpts will be pub­lished lat­er by The Churchill Project for the Study of States­man­ship. 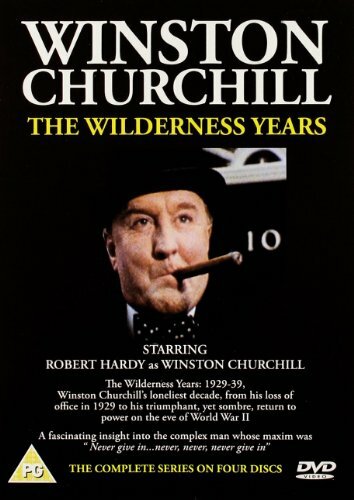 In “The Wilder­ness Years,” Robert Hardy faith­ful­ly cap­tures Mar­tin Gilbert’s image of Churchill in the Thir­ties: polit­i­cal­ly frus­trat­ed, less than effec­tive as a father and a hus­band, wor­ried over omi­nous devel­op­ments in Germany—yet also enjoy­ing his most pro­duc­tive decade as a writer and his­to­ri­an. This defin­ing excerpt is set in Munich on 30 August 1932, before Hitler gains pow­er, as Churchill comes as close as he ever will to meet­ing Hitler face to face—amid sober­ing scenes of march­ing, chant­i­ng brown­shirts singing Die Horst Wes­sel Lied. Churchill has been tour­ing the Danu­bian bat­tle­fields of the First Duke of Marl­bor­ough, whose biog­ra­phy he is writ­ing. He is accom­pa­nied by his wife Clemen­tine (Sian Phillips), their son Ran­dolph (Nigel Havers), their daugh­ter Sarah (Chloe Sala­man), his close friend Fred­er­ick Lin­de­mann, “The Prof” (played by David Swift). With them are Brigadier Pack­en­ham-Walsh who is draft­ing maps for Marl­bor­ough, and his wife (known to Churchill as “Mrs. P-W”). At the hotel they are met by Randolph’s acquain­tance and Hitler’s for­eign press sec­re­tary, Har­vard-edu­cat­ed Ernst “Putzi” Han­f­s­taengl (played very accu­rate­ly by Roger Biz­ley). 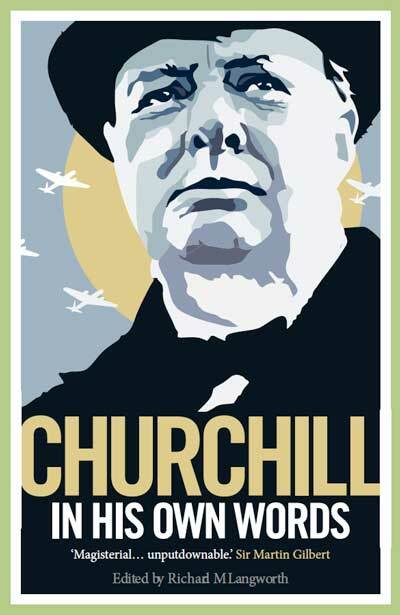 Putzi hopes to intro­duce Churchill to his boss. 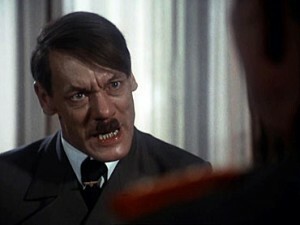 Gunter Meis­ner plays a very real­is­tic Hitler. Writer-direc­tor Fer­di­nand Fair­fax takes lib­er­ties to short­en and dra­ma­tize what actu­al­ly hap­pened. Hitler (a very grim-look­ing Gunter Meis­ner) is shown in evening dress, appar­ent­ly ready to sit down with the Churchills. But first he watch­es furtive­ly from a dis­tance, and then bale­ful­ly gazes through the restau­rant win­dow, catch­ing the eye of the ever-curi­ous Prof, who sig­nals Han­f­s­taengl. Putzi tries to fetch Hitler, but is furi­ous­ly turned away. Fair­fax neat­ly gets around all this with the brief, dra­mat­ic scene we see here. 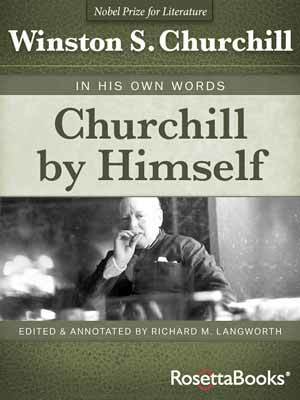 True to fact, Churchill makes his famous dec­la­ra­tion about the pit­falls of anti-Semi­tism, not to Hitler, but to his press sec­re­tary. Putzi Han­f­s­taengl is con­sid­ered reli­able. 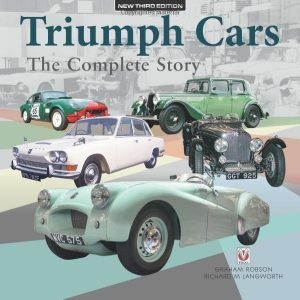 Suave and west­ern­ized, he tried to exert a mod­er­at­ing influ­ence, but fell out of favor in 1936. Sus­pect­ing he was marked for assas­si­na­tion by Goebbels, he left Ger­many in 1937 and wound up in the Unit­ed States, where he advised Roo­sevelt on the Nazi regime. 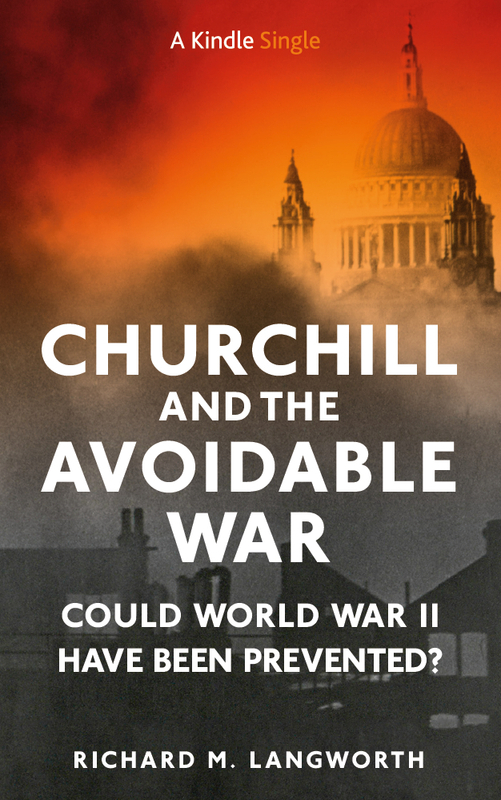 The anec­dote is based on his 1957 book, Hitler: The Miss­ing Years, and cor­rob­o­rates Churchill’s The Gath­er­ing Storm. This episode begins with a poignant scene between Win­ston and Clemen­tine which neat­ly defines their marriage—one of deep mutu­al devo­tion, but need­ing peri­ods of sep­a­ra­tion from time to time, lest the high-strung Clem­mie col­lapse from the pres­sure. Win­ston longs for a clos­er rela­tion­ship; Clemen­tine says he should have mar­ried Goonie (Lady Gwen­dolyne Bertie, his sis­ter-in-law). She wish­es he would be con­tent with things as they are. 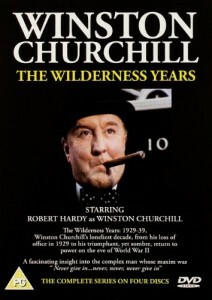 I remem­ber the Hardy series and that par­tic­u­lar scene with Hitler. Hardy was great. It was an intel­li­gent and well-act­ed series. 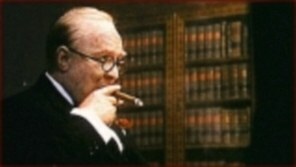 I hope you do post more Hills­dale mate­r­i­al on Churchill and the speak­ers there. I sure they will be fas­ci­nat­ing and infor­ma­tive. Mr. Lang­worth, The Octo­ber 5th pre­sen­ta­tions dur­ing the Hills­dale CCA pro­gram were phe­nom­e­nal and most inspir­ing. 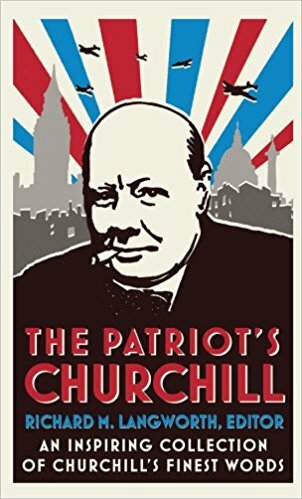 Churchill’s mag­na­nim­i­ty and resolve dur­ing such a per­ilous cri­sis serves as object of emu­la­tion for us young peo­ple today as we set forth to com­bat the equal­ly per­ilous crises of our own time. 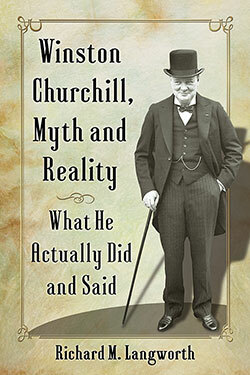 We are con­stant­ly remind­ed through our study of Churchill to “Nev­er Flinch. Nev­er Weary. Nev­er Despair,” in the midst of great adver­si­ty and over­whelm­ing hard­ship. Also, thank you for join­ing Mr. Randy Otto and the men of the Republic’s Finest Hour for cig­ars after the lec­ture. We all great­ly appre­ci­at­ed your com­pa­ny.